Feels like my Melbourne home. I'll be back next year. An excellent experience. Only fault I have...we were going to eat breakfast downstairs on the day of out departure, around 8.15, and there no tables to sit at. No problems as went up the road but would have preferred to eat at your hotel. Loved it. Very comfortable with all needs catered for. Thoroughly enjoyable stay at Alto. A great little find. We will definitely be back. The internet in our room was frustratingly slow, besides that it was very good! Top location. Reasonable price. Great beds. Awesome staff. We will be back. I loved it. The staff were very friendly and enthusiastic to help. I loved the free apples. My apartment was quirky and beautiful. I want to bring the family next time. On my way home to Kempsey, plane problems forced me to have a night in a faceless huge hotel in Sydney. I kept getting disorientated in the corridor as it all looked the same. For me it made your hotel so much more special. It was my first trip to Melbourne. Thank you so much for helping to make it such a memorable one. The wait staff at breakfast were pleasant and efficient. The food was delicious. A lovely intimate hotel with fabulous service, home cooked breakfast and all comforts just around the corner from the main station and an easy walk to everywhere. What more could you need? Will recommend to all our friends who visit Melbourne and thank you. Fabulous place to stay. Informative and helpful staff, well appointed room, and food in dining room was great. Will definitely be back to stay next time in Melbourne. Had stayed before in 2011 so was happy to come back again. Overall, we had a good stay. Facilities and staff were very good. The only minor issue we had was the times the room was serviced. Seemed to happen later than what we have experienced in many other hotels. Twice we came back to our room around 1-2pm only to find the room in the same state we left it. In other hotels we have found the rooms serviced in between 10am and 12pm. Being a very busy hotel that is fully booked most nights and receiving many guests wanting to check in early we focus our resources on prepare rooms for arriving guests. Then servicing rooms of stay over guests. On request we will service rooms of stay over guests at an earlier time. Please advise request to reception should you require servicing of rooms. Staff were extremely helpful, location of hotel is great and the room had everything i required. I thoroughly enjoyed my stay and would recommend. I stayed for two nights on a business trip. 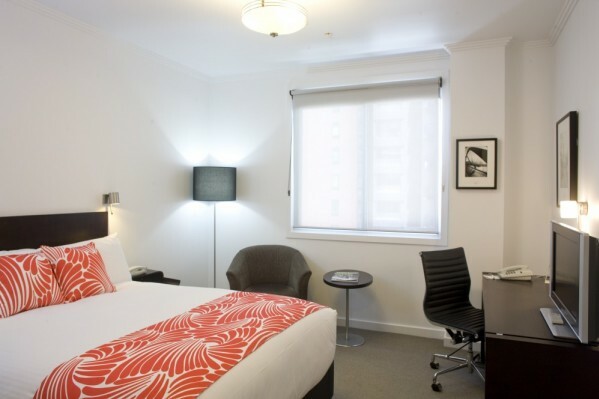 hotel Alto is well located with regards to the CBD, public transport and is within walking distance of restaurants, convenience stores and other shops. The staff were very friendly and helpful and nothing was too much. My room was comfortable, clean, modern and had some nice touches. Bed was very comfortable. The cooked breakfast was generous and tasty. The Wi-Fi is fast and very reliable. Overall, I would definitely stay again. I appreciate the environmentally friendly touches at the hotel and felt that it had a nice character that is often missing in large chain hotels. greeted by very friendly and helpful staff at reception. more helpful and friendly staff providing the bar and breakfast service. overall an enjoyable stay at a pleasant hotel. Great, centralised location. Perfect to pop back to several times shopping bags back. The staff were very helpful and friendly. The hotel's green accreditations and sustainability policies were impressive. The location was also good, as was the breakfast. We would definitely use the Alto again. -short but sweet stay, we enjoyed relaxing and watching the many foxtel channels, the room was cosy and the hotel was a very convenient location for our stay. Overall experience was good but however there was a personal touch and warmth lacking in hotel staff and guest interaction which could have pushed the hotel ratings to very good or excellent. I found it a little impersonal except for the French receptionist and the breakfast staff. we were very happy with our stay, amazingly comfortable beds, nice size rooms,and the location was perfect for us travling on the train. Highly recommended, we will be staying here again for sure. Thankyou for a lovely stay. We love the location and the staff are always friendly and helpful. We really enjoyed our stay at the Alto. It is very convenient to transport, shopping etc. Rooms had everything that we required and the breakfast was superb. Will definitely stay again if in Melbourne. great location with the most comfortable beds ever!! I really loved this hotel, it absolutely ticked every box. In particular every single member of staff I interacted with was wonderful, the beds were sensational, the breakfast was far better than the usual 4/5 star international chain buffet and for us the location was ideal. An absolute delight, the staff on the desk during my stay were particularly friendly and I think her name was Aimee was a standout. Thank you all!